The Social Event of the Year is BACK! 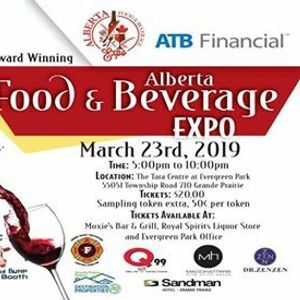 The award winning ATB Financial Alberta Food & Beverage Expo is returning for the 2nd Annual Expo, Saturday, March 23rd, 2019 from 5:00pm to 10:00pm at the TARA Centre Evergreen Park. 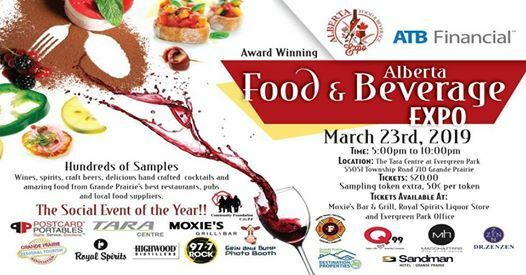 Sample hundreds of wines, spirits, craft beers, and delicious hand crafted cocktails from vineyards, distilleries, breweries and microbreweries both local and from all over the world! 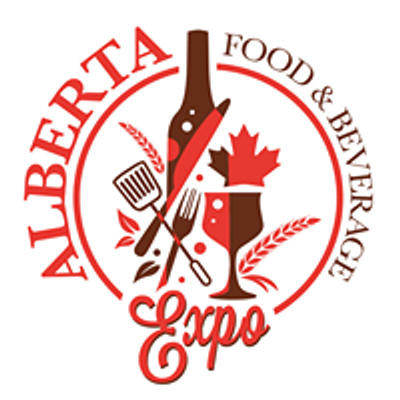 Experience a taste of new and amazing food from Grande Prairie and surrounding area’s BEST restaurants, pubs & local food suppliers. This is an 18+ event, March 23rd, 2019 from 5:00pm to 10:00pm. Don't miss out on a FUN night out among friends with a great atmosphere, delicious food and new, exciting beverages! A huge thank you to our amazing Sponsors, support local and check them out!